Whether you like to line them up in pots on the kitchen windowsill or hang them up in pockets on the wall, fresh herbs can look amazing. Read my story on How to Grow Herbs at Home in The Sydney Morning Herald and Fairfax Media online. Hopefully pick up some inspiring ideas for potting up your favourites as well as some maintenance tips to keep them providing. If you are time-poor, purchase a neat idea such as these rectangular wall planters from Williams Sonoma, USA. I think you'll agree they are a spectacular and space-saving way to harvest herbs at home. 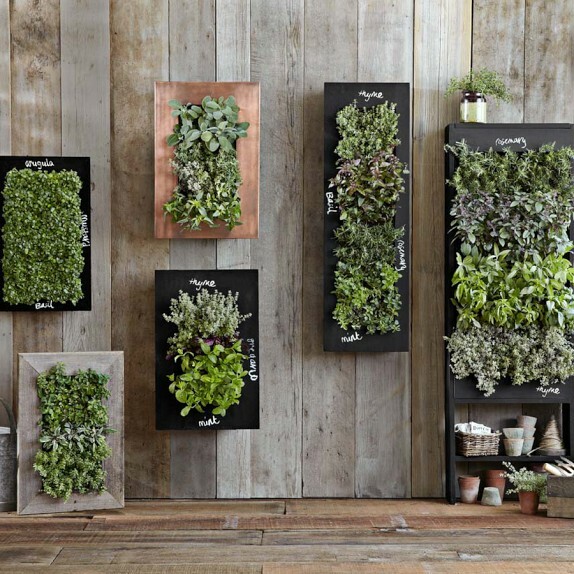 A vertical wall planter is a decorative way to grow and harvest fresh herbs directly on the wall; williams-sonoma.com.